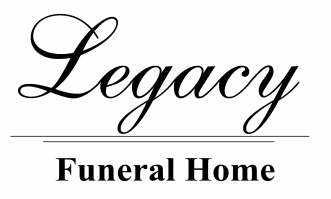 EULA MARY RASMUSSEN beloved wife of Floyd Rasmussen (deceased), born April 16, 1926, passed away peacefully in Lethbridge on May 9, 2017 at the age of 91 years. Eula was born in Cardston and raised in Taylorville. Eula was married at the age of 18 years and moved with Floyd to the farm in 1944 and lived there until 1998 when she and Floyd moved to Magrath. Eula was well known for her numerous talents such as sewing, knitting, quilting and various crafts. She belonged to the Rinard Club and was Queen of TOPS. She loved picnics with the family, especially wiener roasts. She made the best fried chicken, potato salad and sticky buns. Spring was always her favorite time: feedings the lammies (lambs) with the grandchildren and taking walks to the "crick" to pick crocuses and shooting stars. Eula's favorite hobby was genealogy and she created many books with history. With a big garden and home grown milk and livestock, Eula and Floyd raised nine children and created a life of memories. Friends may meet the family at The Church of Jesus Christ of Latter-day Saints, CARDSTON ALBERTA STAKE CENTER (338 5TH AVE EAST) on Saturday, May 20th from 11:00 - 12:30 p.m. The family is honoring Eula's wish to have only a graveside service with family and friends at the Taylorville Cemetery.